We only manage to sit down for our interview two weeks later. Her room is immaculate, save for the papers and notebooks on the desk. The chime of a dream catcher on the wall is interrupted as Tara closes the window and sits down, cross-legged, on her bed. Some of her drawings are up on the cupboard, with a gemstone chart stuck on her door. Looking at it, I can identify some of the stones on her windowsill. A tinge of citrus lingers in the air, and Tara moves to tidy her bed, which she thinks is less than presentable. 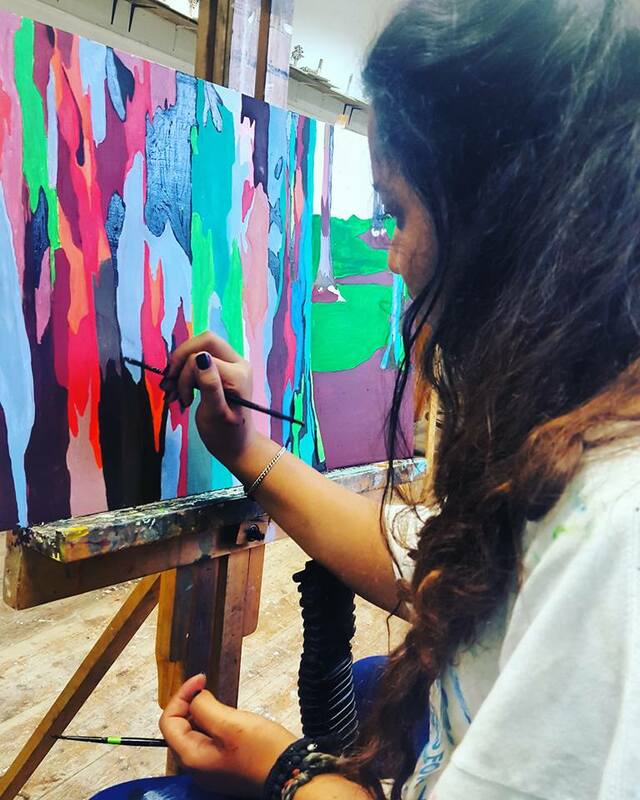 As happy as she is with her degree and career path, art wasn’t always her first choice. For a time, music held sway. “I started music when I was 4 or 5, and I started playing the clarinet when I was 14, so in Form Two,” Tara says as she adjusts her legs to get more comfortable. “I also taught myself basic piano, so I can play a few tunes.” When it came down to choose between art and music, the decision boiled down to what gave Tara more creative license. Art it was. Tara fiddles with her hairbands as she talks about her plans for the future. She wants to get her art out there for people to see – something she hasn’t been doing. She thinks back to her art teachers in high school and how they’ve shaped her life so far, and continue to play a role in deciding her future. “Most of my role models are my art teachers. They see what I’m capable of, they’re more confident in my abilities than I am.” It was Greg Shaw, her high school art teacher and artist in Harare, who pushed Tara to develop her skills as an artist. It was her O Level art teacher who convinced Tara to study Fine Art at Rhodes University. Their influence has motivated Tara to pay it forward and become an art teacher and artist. 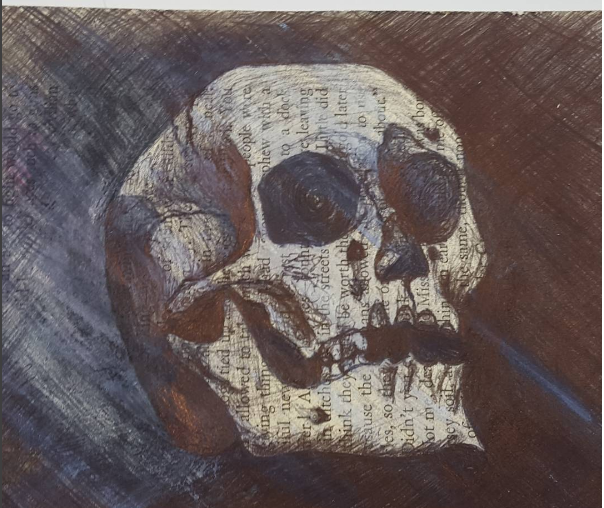 To see more of Tara’s work, check out her Instagram. All the art pieces in this story are property of Tara Dena Jack. Michelle Mukonyora a.k.a Ella, has put on quite a few caps in her life so far. Both scientist and music lover, she has had experience in different spheres of life. Her story is particularly fascinating for me, because it was the first time I’d heard of an aspiring bioinformatician. Her journey into her first role began in 2008, after finishing her honours degree. She decided to take a break for a few years, and during this period she got into the DJ booth for the first time. “I’ve always had a passion for music, but I was never musical. The one day I got one of my DJ friends to teach me how to do it for fun and I got hooked.” Michelle was fortunate enough to get a residency soon after she started. Although this career path was wholly unintended, DJ Elle M was spinning the turntables for a few years. Michelle got involved with biotechnology from high school. “At the time it was being described as the ‘new frontier’ of the life sciences,” she says, and she was more than ready to launch herself into this scientific unknown. The initial plan had been to continue her higher education in Australia, where she could do a joint degree in business and biotechnology. Unfortunately for Michelle, life had other plans: that was the year that the Zimbabwean dollar crashed. Australia was off the table. South Africa was the next best option, and that’s where she got her undergraduate degree from the University of the Western Cape in Applied Biotechnology. She graduated and after she left DJ Elle M behind, Michelle went back to her first love. Despite the challenges in the past and the ones to face in the future, Michelle remains optimistic about her relationship with science. 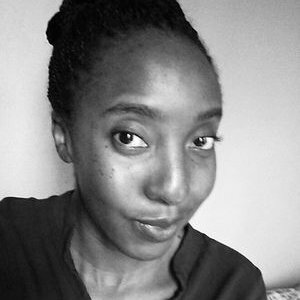 Although studying in South Africa, she has every intention of coming back to Zimbabwe and tapping into the world of potential. ” In terms of biotechnologists there are plenty of Zimbabweans across the world doing cutting edge research. The key would be to convince them to come back home to the right infrastructure in place.” Invested in her work as a biotechnologist, Michelle created a website this year, Nyenyedzi Bio, whose aim is to provide a platform for all things science related in Africa. What struck me the most about Michelle is her dedication to her craft. Although she has done other things with her life, she keeps coming back to her calling. Zimbabwe is lucky to have people like Michelle: people always questioning the limits of our reality and pioneering the push into our country’s uncharted territory. To find out more about Michelle’s interests and work, visit http://nyenyedzibio.com/index.html. Adjusting to a new school, St. Benedict’s, made things even harder. He’d left just when he was solidifying friendships – Busiso didn’t know a single person in his new high school. “To add to it, when I came here, I skipped a grade. So I was a year younger than everyone.” There was only one other Zimbabwean there, who was a year older than him. He was surrounded entirely by South African students, all older than him. It was painfully obvious that he was an outsider, and there were many times that Busiso didn’t feel like he belonged anywhere. New school, new curriculum, new environment, new country – Busiso had to adjust quickly to his new life. “It was a bit intimidating, I felt a bit out of place.” Eventually, he found his footing, and it was thanks to his adopted city. “Thing is, there’s a lot of people you can meet when you’re in a place like Joburg. It’s not the friendliest place, but you’re definitely guaranteed to make friends.” Although there were moments in the beginning where he wanted more than anything to go home, his father encouraged him to tough it out. 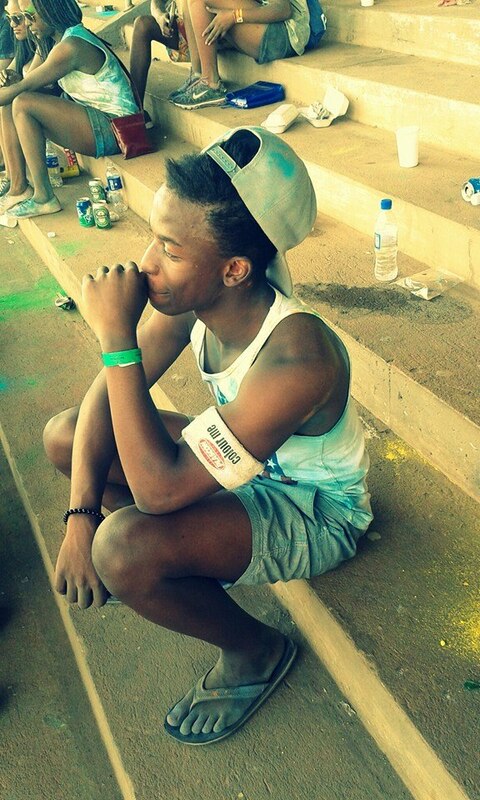 Now, looking back at those growing pains, Busiso’s come out of stronger, wiser, and more well-rounded. Having experienced life in both South Africa and Zimbabwe, Busiso has to come to appreciate the similarities and differences between the two countries. “It’s a lot more liberal here(South Africa)”, he says, in comparison to conservative Zimbabwe. For him, people in South Africa are more open and expressive, something that took him by surprise when he first arrived. “I was still in that little cocoon that Zim put me in, where I don’t question my elders.” It was only after the big move did Busiso start to question what was previously unquestionable, and open his mind to new ideas and ways of thinking. 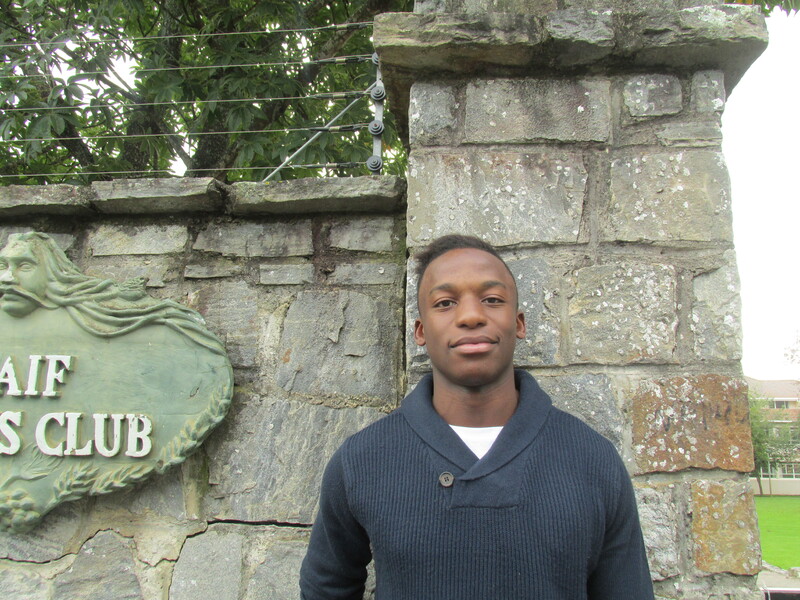 Fast forward to 2015, and Busiso is fully settled into life in South Africa. 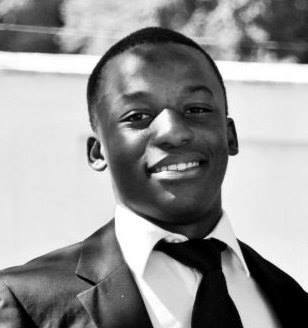 He is currently in his second year at Rhodes University studying law. “One thing that I’ve always been hardheaded. I like being right”, a smile on his face, as he explains his degree choice. “Having knowledge of the law is power.” Ever since Grade 10, Busiso knew was sure of himself, what he wanted to study, and where to go. Although the University of Pretoria was his original choice, he has no regrets about landing up in Grahamstown. “It (Rhodes) produces a certain type of person that I’d want to be like.” It was an added bonus that Rhodes is known for its Zimbabwean-friendly atmosphere, with Zimbabwean students making up a large percentage of the international students. By now, I’m sure most of you have heard about the protests at University of Cape Town, and followed #RhodesSoWhite and #RhodesMustFall. Yes, the age-old problem of colonial legacy and heritage has reared its controversial head again. Southern Africa has come alive on this touchy topic, and judging from the reactions and debates on social media, the region is far from reconciling with its colonial past. Cecil John Rhodes was not a nice man. That, I’m sure, we can all agree on. He lied, stole, cheated, and harassed his way to become filthy rich. For the longest time, he was presented in the history books as a progressive forward-thinker, who almost single-handedly made Southern Africa what it is today. Yes, he did shape Southern Africa. And this region still bears the scars of his schemes and interference. This is the heart of the issue now: there’s a giant statue, in the heart of a campus in Southern Africa, of a man who deserves zero adoration, respect, or celebration. Rhodes did donate the land for the UCT campus – but then again, it wasn’t really his land to start with, was it? People walk by that statue every day, a constant reminder of the ‘great’ man who deigned to donate ‘his’ land and money to the establishment of a university. 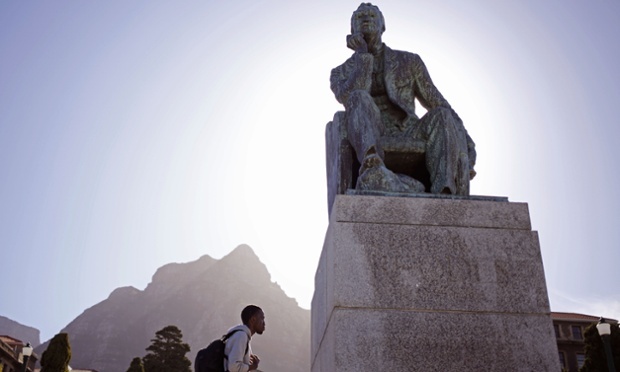 In a country that is still negotiating a difficult and traumatic history, it’s understandable that some students at UCT would be hurt by constantly being exposed to a monument of a man who killed millions of natives and relocated thousands of others. And when people feel like their voices are being shut out, when the Powers That Be refuse to even listen to your views and complaints, people get desperate. People get angry. People get drastic. The poo being flung on that statue was a demonstration of that frustration, anger, and disgust. It worked. People started to listen to their grievances. 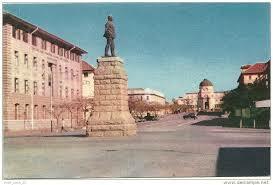 Then came an equally controversial subject: changing the name of Rhodes University. This debate is not new; the proposal was first tabled all the way back in 1994, by the then Student Representative Council (SRC) President Vuyo Kahla. Fast forward to 2015, and the debate rages on, but something has changed. The warm, friendly atmosphere at Rhodes has often masked the underlying frustrations and tension that bubbled to the surface a few weeks ago. 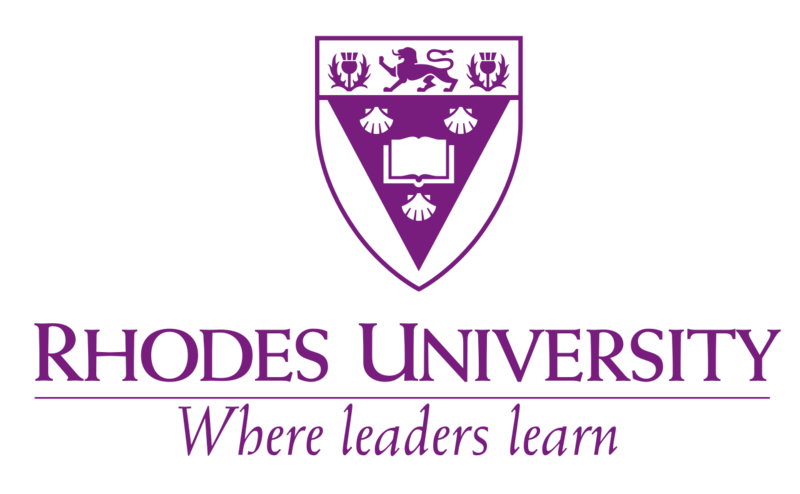 If an institution does not condone, nor associate ourselves with the views and morals of Rhodes, why do they insist on keeping the name? Name changes are not new: after Independence, did Zimbabwe not change its name from Rhodesia? If a university is so intent on preserving its brand, then surely its reputation should be based on the quality of its education, and not its name? Ultimately, why, until now, have people been so dismissive about this issue, an issue that clearly affects ALL of us? Removing such monuments, contrary to popular belief, is not “erasing history”. Rather, it’s acknowledging that some of the men and women who were celebrated as heroes in their time do not deserve that honour today. 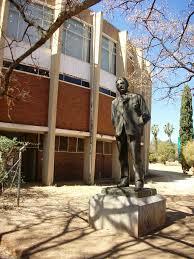 The statue of Cecil John Rhodes in Zimbabwe was taken down, yet we are still very much aware of his life and legacy. Statues of Lenin, Stalin and Saddam Hussein have been torn down, but that was not followed by the world collectively hitting Delete on their histories.